Merion is planning her Christmas gift knitting, are you? I love Christmas knitting, and by that I mean I love planning Christmas knitting. It is wonderful to dream of hand-knitted gifts for your nearest and dearest but a rather different story when you actually have to knit them! A couple of years ago I found the perfect Christmas gift knit — the Audrey Gloves, by Nancy Ricci. I first spotted a pair on a stand at The Knitting & Stitching Show at Alexandra Palace knitted in pure cashmere, and oh my goodness they were beautiful. Then it occurred to me that they were the perfect little gift; quick to knit, fun to knit, and wouldn’t cost a fortune if I knit them in something affordable. The key to knitting Christmas gifts is to keep things small and simple. If you try to knit jumpers and cardigans for everyone, or indeed scarves, you simply won’t manage it unless you start in August! So a small project like this one is perfect, and choosing the yarn becomes dizzily exciting! This pattern is simple but has enough excitement to keep you engaged: a twisted rib, a little bit of moss stitch, and then some bow-making. You can make them quickly — I could manage a glove in an evening, but a speedy knitter could no doubt make a pair in an afternoon! These gloves are one size, and require approximately 100yrds (55g) in an aran weight. 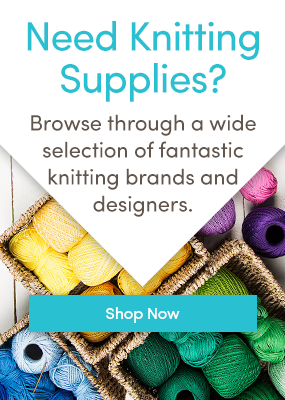 The choice of yarn is entirely up to you – depending on your budget and the number of people you decide to knit them for. So I’ve picked three yarns in different price ranges especially for you! Dream in Color Classy is a dream indeed — a semi-solid hand-dyed yarn that is nothing short of stunning. I love the clever colour combinations; take a look at these beautiful shades below and you’ll see exactly what I mean! For a luxury heathered finish, indulgent Imperial Yarn Columbia is a gorgeous choice. Spun from the fleece of sheep that graze on the Imperial Stock Ranch, Oregon. Swoon! Paradise is knitting with Malabrigo Worsted. Soft as as kitten, and the most incredible range of shades to choose from, each skein is 209 yards, plenty for a pair of gloves. It comes in a skein, so you’ll need to wind into a ball first. With potentially two pairs of gloves in a 100g ball, Rowan Pure Wool Worsted is also a delicious yarn. It’s very affordable and there are so many gorgeous shades in this range to choose from. Try a variegated yarn to create Audrey Gloves with extra swish! I love variegated yarn, you can either make mis-matched gloves, or advance the repeat to create a matching pair. Lang Yarns Merino+ Colour is 100% Australian merino wool that is wonderfully soft, and cosy too. You have lots of options in this category! If you include some acrylic and acrylic blends you can knit a pair of Audrey Gloves for all your friends. One 100g ball of Paintbox Yarns Simply Aran has 201 yards, so theoretically you should be able to knit two pairs of gloves from one ball! That’s two pairs for under £2.50! This cosy acrylic comes in 60 shades, is washable and is a great choice for cheery stocking fillers and teenage neon gloves. OnLine Linie 352 Corby is a gorgeous blend of wool, alpaca and acrylic. It comes in over ten shades and is just a little bit heathered in appearance — very rustic, very charming — and nice and soft for gloves! You’ll get one pair out of a ball. There’s a rainbow of shades to choose from in Rico Essentials Soft Merino Aran, and it’s a lovely, soft merino wool to knit. A fabulously affordable merino, you’ll get one pair of gloves per ball for under £5! I need to find a new pattern for my gifts this Christmas – but this one is a winner for yours! Oh these are so pretty. And I love that you offer choices for different price ranges. I’ll be kniting myself a pair for sure this winter..and maybe a few pairs for friends. These gloves are in my Christmas que! “The key to knitting Christmas gifts is to keep things small and simple.” This is true is so many ways. Sorry – found the pattern. Like it very much but not knitting things that need to be seamed. Ha yes, I felt the same but when you’ve left a hole for the thumb there really isn’t much seaming to do either side! You could knit them in the round on dpns but then you’d have to work a gap for thumb. I’m on my second pair – they are quick and easy and look good.